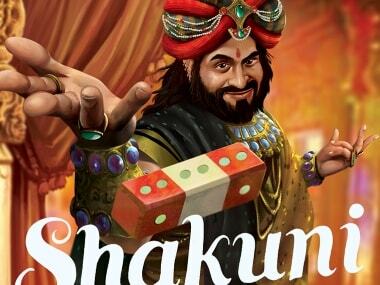 With the numerous versions of classics like the Mahabharata and Ramayana — from comic books, to a modern take on the characters — perhaps it was time someone took a feminist perspective to the epics as well. That's just what 22-year-old Annushka Hardikar did. 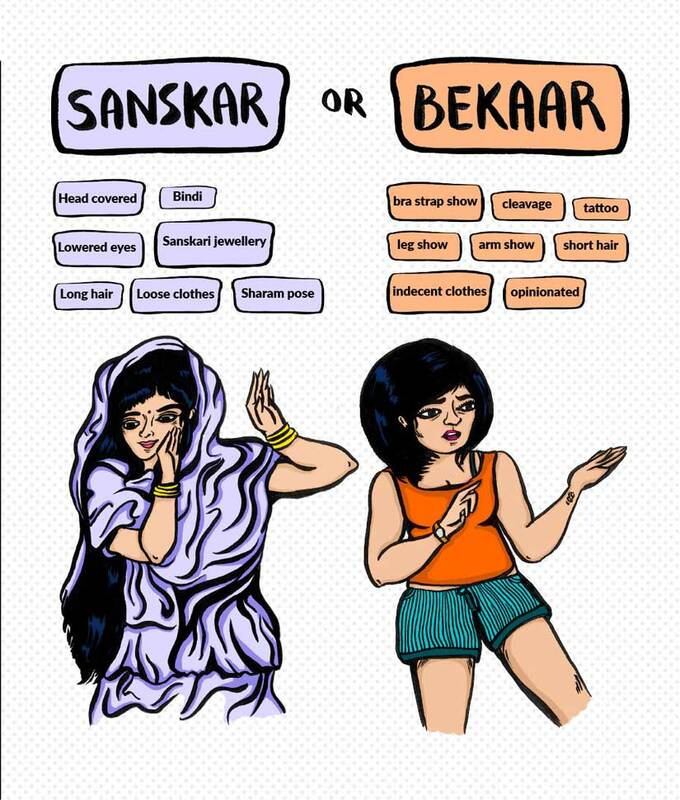 The Visual Communications graduate from Srishti Institute of Art, Design and Technology, Bengaluru, created a zine that uses characters from the Mahabharata to make a satirical point. Titled Oh Nari, So Sanskari! 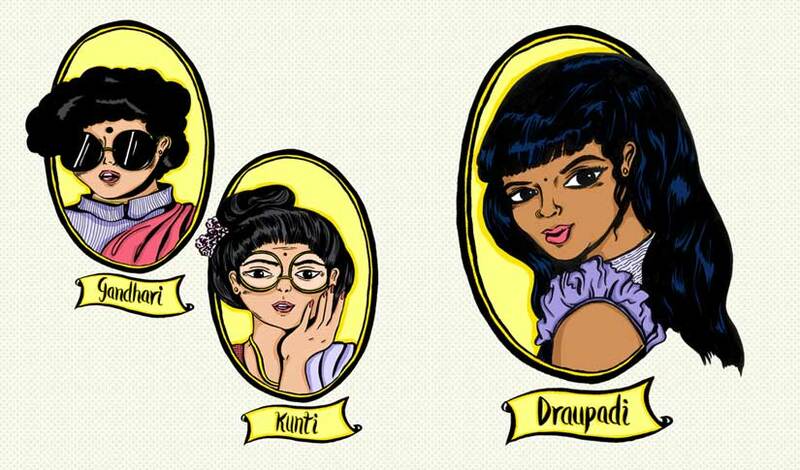 the zine features Draupadi, Kunti and Gandhari talking about issues modern women face — right from body shaming to the emphasis on virginity. "The zine sheds light on challenges that 21st century Indian women face, by placing Kunti, Gandhari and Draupadi in a modern context. On re-visiting stories from the epic, I realised, although dynamic and capable, the women in the story were always shown to be dependent on the men in their lives. Being an Indian woman myself, there was a pressing need for accurate representation of the characters as aware, vocal, and opinionated. 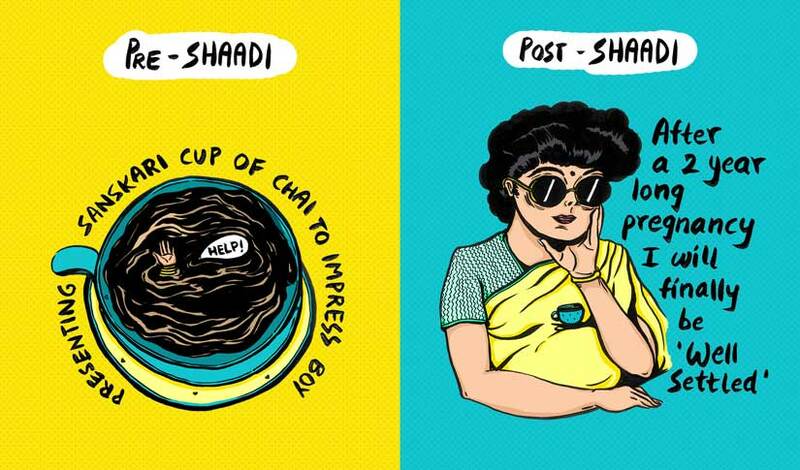 Using references from feminist history, pop culture and media, the zine comments upon stereotypes that have surrounded Indian women from time immemorial. I would want the reader to be left questioning the roles and expectations of our culturally rooted society," Annushka told Firstpost about her project. She also explained why she used the Mahabharata as a source of inspiration: "I have been familiar with stories from the Mahabharata and Ramayana since I was little. On re-visiting some of these, I began feeling the need for better and more relevant representation of the female characters," Annushka said. "The Mahabharata is a story with real, flawed characters which are very human and that's what drew me to it. The epic has been carried through generations, and I realised how important it is for the epic to remain relatable to its audiences." The process, Annushka said, was immensely satisfying: Here was a chance to comment on subjects considered taboo, voicing her opinions and those of all the women she interviewed, through Kunti, Gandhari and Draupadi. "Writing in satire was a whole new challenge, I had to make sure it wasn't repetitive, boring or tiresome," Annusha said. "I also really enjoyed creating the artwork for the zine. The style had a heavy pop art influence, which was a completely unexplored area for me. Also I usually run away from realistic figure drawing and this project pushed me to do just that, I think it's a half decent first attempt!" Why specifically did Annushka choose the characters of Draupadi, Kunti and Gandhari as representations of modern women? 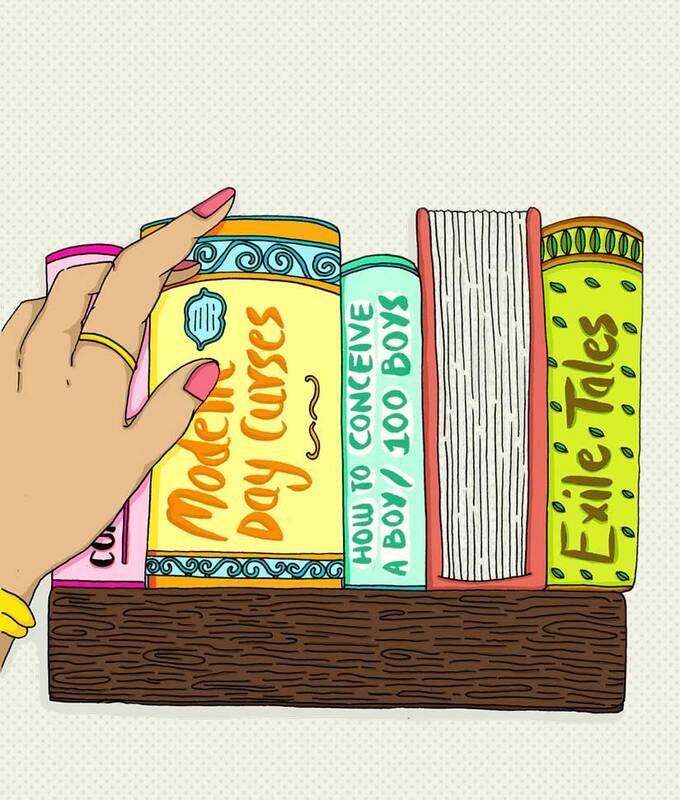 "Indian women in today's day and age are far more aware, decisive, bold and opinionated than they are shown to be in these stories," Annushka explained. "For the 'millennial' generation of today, which was my target audience, to be able to connect to these stories, they needed to be re-told in a way that highlighted how strong and powerful these characters really were. 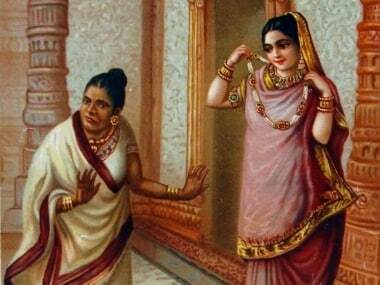 The reason for sticking to Kunti, Gandhari and Draupadi's stories was that they shared an interesting dynamic and were also instrumental in many of the decisions which could change the course of the story. I thought it would be interesting to explore three characters of different generations, backgrounds and diverse personalities." Feminism in India has a long way to go, Annushka feels. 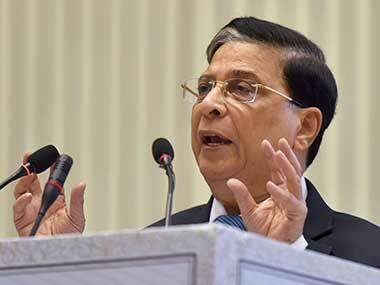 She told Firstpost: "I believe the word 'feminism' itself has gained somewhat of a bad reputation in India, which I find unfortunate. Most people take feminists to be 'man-haters' not realising that men can and are feminists too. I especially dislike the use of terms like 'feminazis' which are used casually without realising the serious connotations associated with it. There is an increased awareness about the need for women's empowerment, and so many artists, writers and public figures are advocating for equality of women. However, I do feel that unless the term 'feminism' is explained and understood for what it is by the masses, this change will remain in the minority." Annushka believes art can make a difference, and it can bring about change. "I love how art can transport you to another place, make you feel, sense and react. It is both static and fluid, it's absolutely beautiful. I feel so grateful for what I do because it gives me the power to change people's perspectives, to tell stories and to express myself," she said, adding, "I do believe art is one medium that has always been able to break barriers and speak about topics that are controversial, or mobilise people towards a certain cause. Over the past few years especially, there has been a major shift in the kinds of subjects we now openly talk about and that is definitely a step in the right direction." So is Oh Nari, So Sanskari!